Douglas McGeorge is a leading UK-based plastic surgeon who specialises in cosmetic and reconstructive surgery. His practice is dedicated to enhancing natural beauty, using state-of-the-art procedures to achieve natural results designed to make patients feel better and more confident about their appearance. European CEO spoke with McGeorge about future of this booming and ever-evolving industry. What does being a plastic surgeon mean to you? Plastic surgery is the ultimate expression of art and science, which, in the hands of technically gifted individuals, can produce results that have a profoundly positive impact on the appearance and psyche of individuals. It is that ability to enhance the quality of patients’ lives that makes plastic surgery so special. This applies as much to reconstructive surgery as it does to aesthetic surgery. Reconstructive surgery restores the norm, while cosmetic surgery improves the norm. Being a plastic surgeon, I have the ability to add to the quality of life of my patients, not just in a physical way, but also in terms of personal confidence. 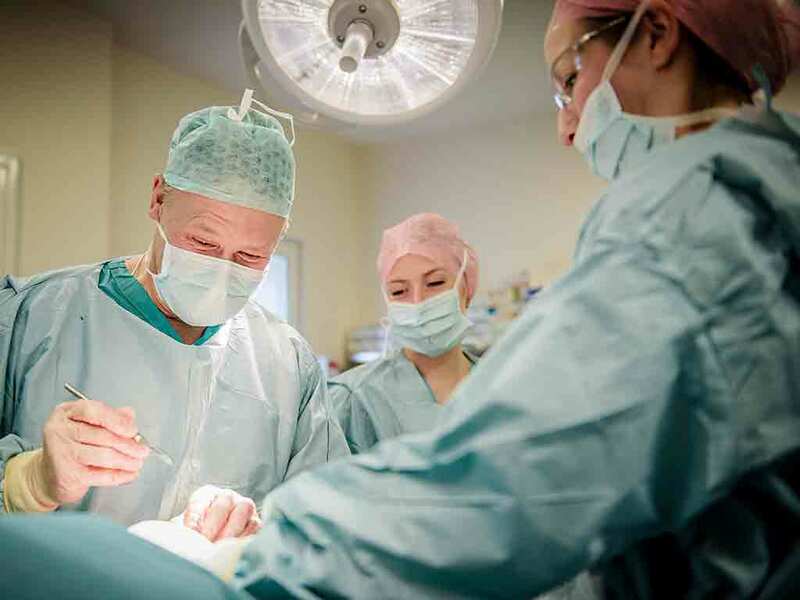 It is a speciality in which much of the surgery is by choice, rather than need, but it is one that is at the cutting edge of science, always striving to improve techniques and results. As a small speciality, ideas and innovations are readily shared worldwide, with personal contacts being important in moving the field forward. I have been privileged to train and work in centres in a number of countries, learning from some of the best in the field. In return, I have been able to share my knowledge at meetings across continents and with trainees who travel to spend time with me in the UK. This open sharing of thought is exciting, and it’s important in the pursuit of ever-improving results. What is the most important factor in your business? Without doubt, the most important factor in my practice is patient satisfaction. That we should all be fully trained and up-to-date with techniques and scientific advances is the starting point. Our secretaries and support staff need to be approachable, knowledgeable and, importantly, available. The environment in which we work must be professional. It is, however, the understanding of patients’ wishes and expectations that is paramount to achieving good results and outcomes. Cosmetic treatments, carried out well, can add enormously to quality of life. Carried out badly, they can prove disastrous. In the main, we are carrying out procedures of choice, to change or improve appearance. With treatments of choice, it is even more important that patients fully understand the limitations of what can be achieved. Proper counselling has to take place, so that treatments are based on the needs of the individual, making sure that their aspirations can be matched by surgical interventions, and that they are fully informed of the limitations and possible complications that they carry. There are occasions when surgery is not appropriate and other treatments, perhaps psychological, may be required. Importantly, we must not forget that we are doctors first; we must be able to manage underlying medical problems. If we are lucky, happy patients tell their two best friends. Unhappy patients tell the world. What does the future hold for plastic surgery? Plastic surgery is a speciality in which surgeons are striving to improve techniques and results. For the patient, however, the perception of treatments and results is different. They want to enhance their appearance, but they want to minimise scars. For them, the difference between a good result and a poor result can be down to the quality of scars produced; something often outside the influence of even the most gifted of surgeons. Today, a lot of scientific research is being directed towards the goal of scarless healing. In fact, the Healing Foundation is embarking on a major research programme, scheduled to last 10 years, to that end. In utero, a foetus heals without scarring. Once born, wound healing after any form of dermal injury inevitably leads to scar formation, as the skin re-establishes its integrity. It is an imperfect process, an evolutionary compromise made to restore tissue integrity quickly, preventing infection at the expense of appearance. And yet, some scarring can result in significant psychosocial impact on patients and their quality of life. Since the quality of scars is so important, it seems strange that there are so few scientifically proven treatments available to improve their appearance. Many over-the-counter treatments are available, but there is limited clinical evidence to support the efficacy of most of them. Once a wound is closed, the body naturally enters into an inflammatory phase. The skin can become dry, itchy and uncomfortable. While these current treatments may offer temporary relief from this phase, they tend to be inert formulations that sit on the upper layer of the skin, acting as a barrier. Often, they contain no active ingredients and instead work by trapping moisture. To alter wound healing, any topical treatment requires active ingredients that are absorbed through the skin and which can modify the healing process at a cellular level. Over the last four years, I have been involved with one of the leading scientists in wound healing at the University of Manchester. We have been researching active treatments for scars. The culmination of that research is an understanding of a number of compounds that alter the body’s response to scarring. In particular, there are a number of naturally active green tea extracts. These have been combined with other naturally active ingredients to produce a new way of treating scars, called Solution for Scars. This is the first commercially available topical treatment designed to cross the skin barrier and modify the inflammatory response that leads to abnormal scarring. The skin is allowed to heal without interruption from constant itching and inflammation, resulting in a smoother, less visible scar. How does Solution for Scars work? Solution for Scars is used for all wounds, ranging from post-surgery to common day-to-day accidental cuts. It is applied as soon as the wound is closed and it is absorbed through the skin, enhancing the cellular function in both the upper and deeper dermis, acting on keratinocytes as well as fibroblasts, the cells that play an important role in tissue repair. Importantly, it alters mast cells, the cells that release histamine, which is responsible for many of the symptoms of inflammation. This promotion of early intervention has been proven to change the course of the healing process, an exciting new concept that has not been contemplated previously. This research has broken the mould when it comes to effective skincare treatments. Solution for Scars works completely differently and far more effectively than many of the existing products on the market. Solid scientific research, harnessing the very best that nature can offer, underpins its development. We are a long way from achieving the holy grail of scarless healing, but Solution for Scars marks a new milestone in manipulating the way scars heal. It will, hopefully, provide a springboard for further research into new ways of controlling scarring.